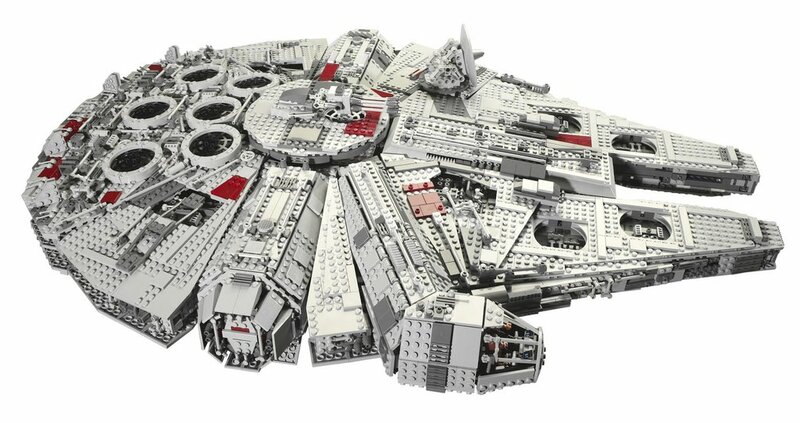 Build the ultimate Millennium Falcon ! 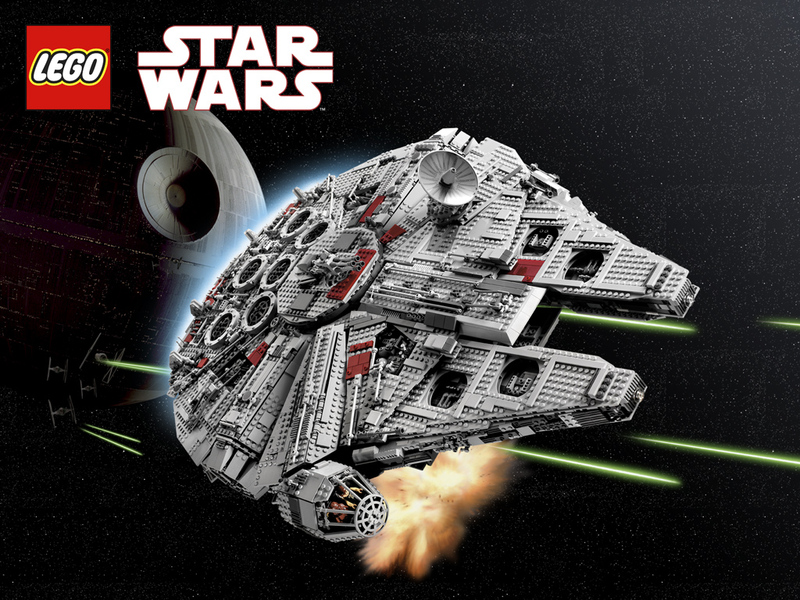 This is it - the biggest, most spectacular LEGO Star Wars model ever! 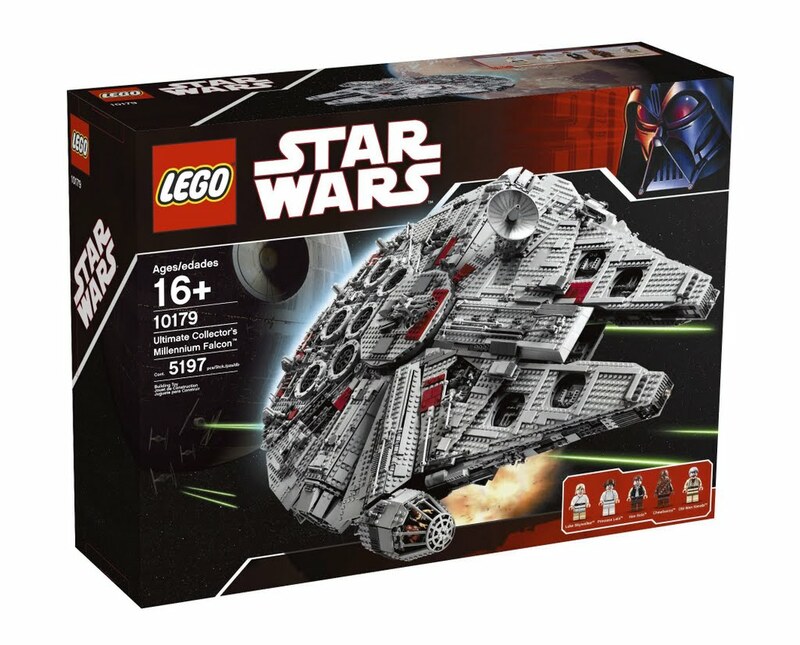 Straight out of the classic Star Wars movies comes the Ultimate Collector's Millennium Falcon , Han Solo's famous smuggling starship. Every detail of the modified Corellian Engineering Corporation YT-1300 freighter is here, all constructed to scale with LEGO minifigures. At almost 3 feet (90cm) long, it's the ultimate centerpiece to any Star Wars collection! 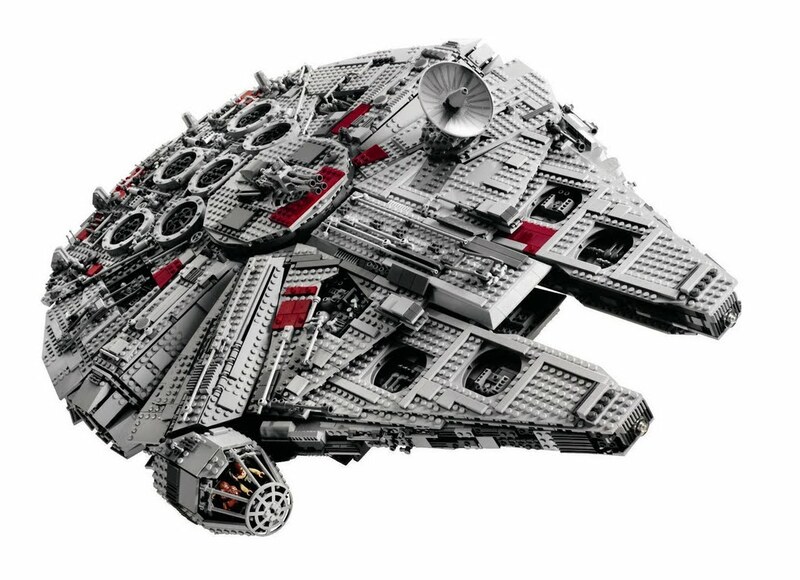 With over 5,000 pieces, this is the biggest LEGO set ever made! Model is built completely to minifigure scale - minifigures can sit inside and man the controls! Landing gear provides a stable base for model to stand on! Ship is over 33" long, 22" wide and 8" tall! (84cm long x 56cm wide x 21cm tall) Radar dish rotates and elevates and boarding ramp extends! Top and bottom quad-laser turrets rotate for realistic play! Cockpit top can be removed to access minifigures! 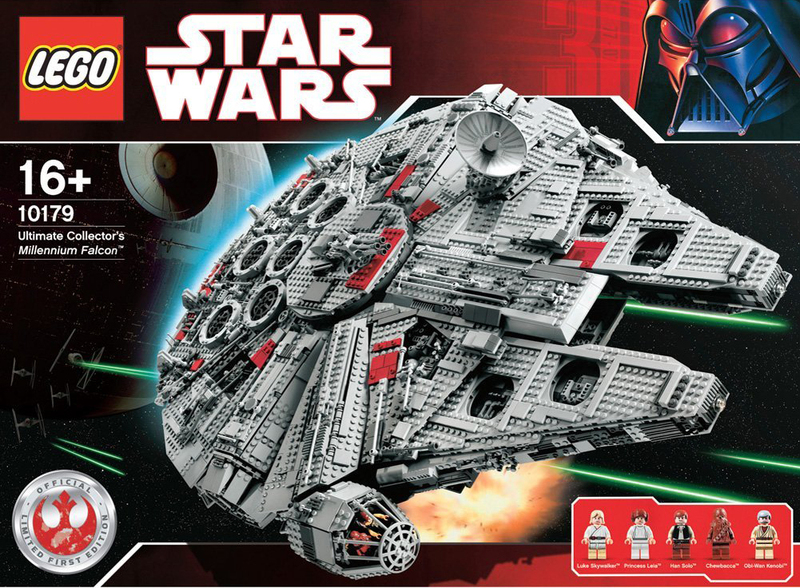 Includes 5 minifigures: Han Solo, Chewbacca, Obi-Wan Kenobi, Luke Skywalker and Princess Leia Organa! This special set also includes a display card with detailed ship specifications!